Just wanted to send a special thank you to you and Dawn. We are headed to St. Thomas and still in awe of our perfect day. We have heard from so many of our guests how much fun they had at Naylor. Truly, I wouldn’t change anything. I want to just come back and do it again!! I know you both were busy behind the scenes making sure it was perfect for us and we appreciate you more than you know. Many thanks for a wonderful event Saturday evening. The facility was gorgeous and the staff were friendly, professional and efficient in executing a flawless party. Many of our guests have been at to events at venues up and down Canton Street and I received so many compliments for Naylor Hall. Everyone was having such a good time, they were all a bit hesitant to leave. The staff had a great sense of timing with starting the event, moving it through the evening, and wrapping everything up seamlessly. I appreciate your help in coordinating our various vendors and everyone worked together to make it a great evening. I do hope to be able to work with you both again for a future event. Being a “mature” couple – it was so important for us to find a wedding venue which would reflect the feelings and create the moment we wanted to share with each other as well as our family and friends. We looked at every venue in Roswell. Naylor Hall with Sunny and Ann – and the wonderful partners we met through that relationship gave us everything we wanted and more. Each person brought our ideas to life in a way that exceeded our expectations. Our evening wedding was beautiful, loving and had the intimate, romantic feel we wanted. We were cared for by everyone involved and the wedding details were handled to perfection so we could enjoy the moment we had waited so long to share. We would not change one single thing about our wedding. The candles – the lighting – the flowers – the food – the music – the photography – and our guest experience was perfect. We would tell any Bride and Groom looking for the perfect, romantic and thoughtful place to have your wedding – you will not find better than Naylor Hall. After looking at several venues, Carrie and her dad visited Naylor Hall. Carrie stood on the front porch, looked out on to the beautiful front lawn and started to cry. “This is it!” Prior to this visit, as her parents, we had scoped out all the places she was interested to make sure that we could say “yes” if one was her hearts desire. We of course were interested in all that Carrie wanted, but also if it would fit within our budget. Naylor Hall’s packages and pricing made the total costs clear. Sunny has walked us through the packages, possibilities and listened to all our concerns and desires. Nothing seemed to rattle Sunny when it came to asking , “What about… What if…?” Plan B, C and D were covered!!! Naylor Hall became an extension of our own home… we felt very comfortable stopping in to visit and ask questions, email or call. Sunny and her staff were always quick to respond. Having Sunny there to field questions and possibilities really took the stress off of me, the mother of the bride, blessing Carrie’s and my relationship throughout the planning and event. The caterer Three Sisters were fantastic to work with as we had many dietary restrictions and considerations. During the event their staff was so courteous and helpful. And the food was fantastic! Denise, the florist, worked with Carrie on all the special touches she wanted and helped us keep some of those costs down where she could. On the day of the event, it was the hottest day on record for Atlanta, something that could have flustered any bride. There was nothing we could do to change that! However, Sunny thought of everything! She made sure that our guests were in the shade during the ceremony, that the guests were invited inside to wait in air conditioning, she had procured electric fans from every source possible to make sure the air was constantly moving to keep our guest comfortable! One guest even thanked me that she had a personal fan! Carrie and her dad arrived at Naylor Hall via the horse and coach! It was like a Cinderella experience! Afterwards, Carrie and Austin thanked us for “the wedding of their dreams”. As her parents, we were thrilled to be able to share their special day with all those we love with such joy and excitement! I love my wedding! Thank you, Sunny for making the entire planning process and wedding night fun, easy, and enjoyable. My parents were able to have a great time and socialize without stressing! From our first meeting, I felt confident that you had the experience to plan an incredible wedding at Naylor Hall. I loved knowing you were going to make sure everything went smoothly and ensure it was memorable. You were right, Naylor Hall does provide such a great atmosphere for even large parties and the house does come alive. I loved how when I was moving and trying to get the rest of my life ready for marriage you were able to coordinate with the vendors and schedule the meetings between us. I know that I will cherish that day forever. My husband and I are so happy we chose Naylor Hall as our venue. I really appreciate you helping me with every last detail and calming my nerves when we were getting closer to the date. I couldn’t help but laugh when I called you three days before and didn’t have the marriage license and you told me in your sweet voice, “you’ll get it.” Simple instances like that made the wedding that more enjoyable because I was more confident that the rest of the wedding was under control. Thank you again for always being available and getting back to me so quickly whenever I called. You and Laura and the rest of your team are true professionals that make one of the most important days in a woman’s life seem so easy. I hope that I will see you again and let me know if you need any honeycomb! Simply Awesome!!! Kudos to Sunny Bailey at Historic Naylor Hall for helping to coordinate a beautiful and romantic wedding and reception for our daughter! We thoroughly investigated many venues but nothing came close to the beauty, warmth, and professionalism we experienced at Historic Naylor Hall. It didn’t matter what or who we needed, Sunny always had the answer. Her calm but confident demeanor kept us calm & confident -even insisting the weather was going to be gorgeous (10 months in advance) for our daughter’s outdoor wedding-and it was! Sunny also hosted an elegant open house in order for us to meet an assortment of first class vendors to review their work and have samplings of their gourmet food. Everyone worked so wonderfully together to make sure our family and friends had a fabulous time. If you want to have an incredibly classy and charming event, make sure you book it at Historic Naylor Hall!! Dear dear Sunny – I think my feet are now touching the earth. Did I have fun, or what? For all you did, thank you. For making my day as wonderful as it could have ever been, thank you. For being who you are and always making me feel like the bride, thank you. The love and joy all my family and guests felt in your beautiful Naylor Hall could not have been exceeded anywhere. Thank you for your joy and love, and for the memory of my life. I just wanted to pass on my many thanks to you and the entire staff of Naylor Hall for making one of the most difficult days become one of the very easiest. I am still receiving compliments on our wedding and how perfect everything was. And Mark and I couldn’t agree more. The caterers and all the wedding professionals were OUTSTANDING and I don’t think we could have picked a better place and to place in your hands our most special day. Many thanks and blessings to you and all that turned our wedding day into the most perfect and memorable day. Thank you so much. What a wonderful party! We had upwards of 260 people at Devon and Paul’s wedding reception, and I think every one of them told me this was the best reception they’d ever attended. The vendors you recommended for catering, cake, flowers, photography and music were all professional and did an excellent job. Your staff was always in attendance to look after the needs of the guests, but was never obvious or intrusive. Because of the way you arranged the set-up of the guests’ tables, the buffets, the bars and the tent, there was never a back-up or a line requiring the guests to wait. I must admit I had my doubts that the facility could house that many people comfortably, but am extremely glad those doubts were completely unfounded. Many of our guests commented that they really liked being to get in “conversation groups” in different rooms or even outside, and chat with friends and family. It was truly preferable to having everyone in one large reception hall where you sometimes feel compelled to stay around the table at which you’d eaten, and only get to visit with a limited number of people. You made what could have been a very stressful process an absolute pleasure. The last couple of years have been difficult for us because of my husband’s extended illness and subsequent death. When we started working with you, he had just passed away, and we really weren’t in the best frame of mind, and didn’t know much of what we were doing or in which direction to go. You provided direction without pressuring us, and were fun to work with and very patient. The few very minor glitches we ran into got no more than a, “No problem, I’ll take care of it.” from you – and you took care of everything. I didn’t mean this to sound like a soap box or a testimonial, but I don’t think you’ll ever know how much your attitude, and the professionalism of your staff, have meant to us. This was the “picture perfect” wedding, and I’ve come in for a lot of thanks and praise; however, all of you really deserve the credit – we did our homework and chose great people, then we sat back and let you do what you do best. Thank you again! Thanks so much for everything! Jared’s Bar Mitzvah celebration at Naylor Hall was a huge success. Your professionalism and expertise was a pleasure to work with. I look forward to working with you both again in the future. Hopefully my daughter’s wedding will not be anytime soon! We just wanted to say a big thank you for making our wedding such a perfect event. We could not have asked for anything better. We were so happy with all of our vendors and you made everything flow without a hitch! We would recommend Naylor Hall to anyone! Thank you so much! You will recall my engagement was in February and I wanted a June wedding, a very short planning time. The professional staff at Naylor Hall and your flexible “wedding package” were so very beneficial to me. 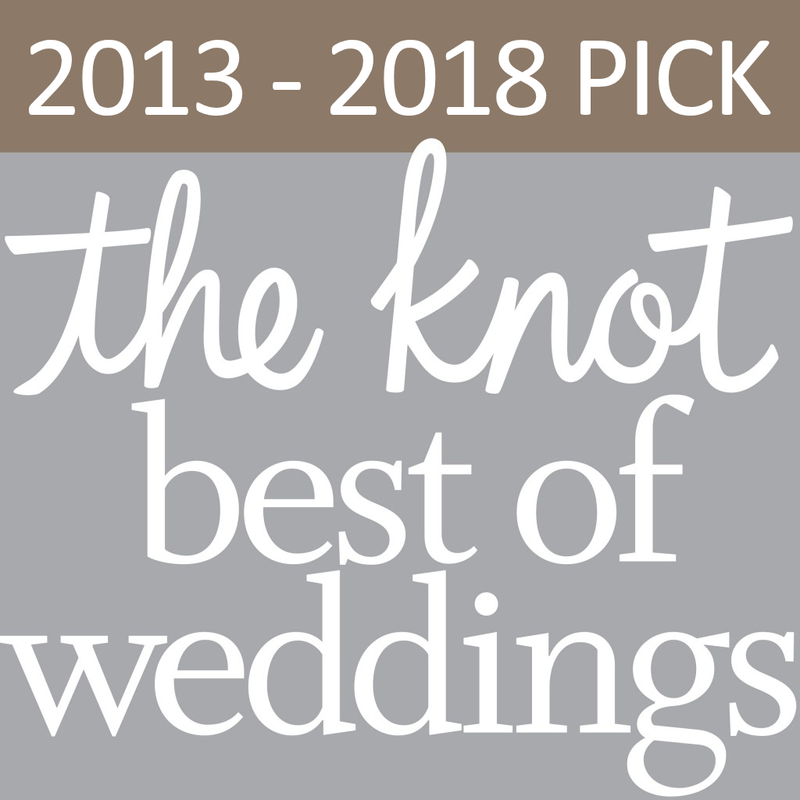 Within a short time you had helped me select a date, walked me through the planning details, provided guidance in choosing wedding professionals, all that matched our style and budget. And more you provided all the follow up that relieved me of any stress, which I found very comforting. All of the special personal plans we had, were not only honored, but encouraged. As a result, our wedding was a true reflection of our personal style and a culmination of ideas that had been in my mind for years. It was all enhanced by the beauty of Naylor Hall. John and I had a wonderful time. It was absolutely fun and exciting. Thank you.